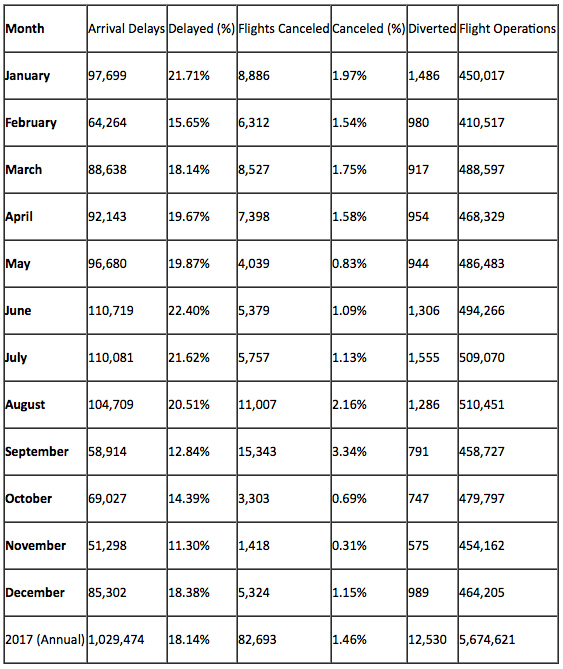 Data Source: InsureMyTrip and The U.S. Department of Transportation's (DOT) Bureau of Transportation Statistics (BTS). Researchers at InsureMyTrip ranked the on-time performance for the busiest airports in the Eastern US during hurricane season. 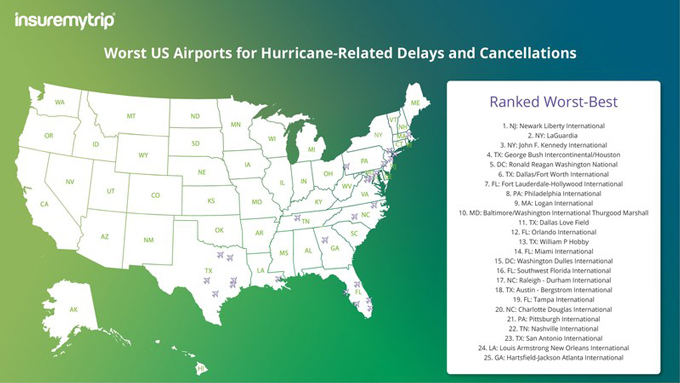 This list ranks the overall on-time performance for the 25 busiest airports in the Eastern US during hurricane season. Tip: Travelers booking flights in-or-out of storm-sensitive airports should consider travel insurance with specific coverage for hurricane-related delays and cancellations. 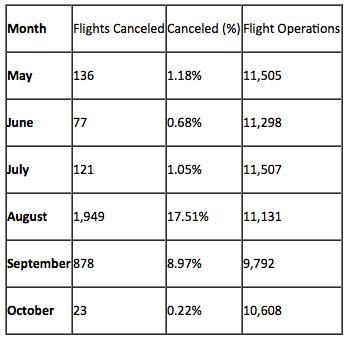 When a storm hits an airport, a significant increase in the number of canceled flights is imminent. For example, Hurricane Harvey was the primary cause for nearly 2,000 canceled flights at George Bush International in Houston last August. The airport bounced back once the storm cleared. Travelers concerned about protecting any pre-paid, non-refundable trip expenses should buy travel insurance. Copyright 2018 InsureMyTrip. All rights reserved. From https://insuremytrip.com.